Redmond, WA, April 17, 2019 --(PR.com)-- Denali Advanced Integration, a global leader in delivering enterprise IT solutions and services, announced today that Cisco Systems, the global leader in networking solutions, has named Denali to their exclusive Cisco Lifecycle Advisor Program. 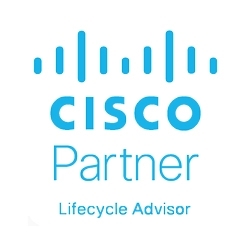 Cisco Lifecycle Advisor is an invitation-only program for select Cisco partners who have a proven track-record of enhancing the customer experience, maximizing technology investments and ultimately driving customer success. "We’re extremely proud of our customer-first driven culture at Denali. Being named a Cisco Lifecycle Advisor is further validation that Denali not only cares about our customers’ success, but we’re delivering results and value to our customers at the highest level. Denali SurePA is providing customers with clarity and a proven path forward to maximize their technology investments. We’re honored to guide them on their journey," said Marco Senelly, Lifecycle Practice Manager & Solution Architect at Denali.